Former defence minister George Fernandes passed away at the age of 88 on Tuesday following a prolonged illness, his family sources said. Fernandes was suffering from Alzheimer's disease. Recently, he contracted swine flu, they said. Fernandes was India's defence minister in the NDA government headed by Atal Bihari Vajpayee. Congress President Rahul Gandhi also condoled the demise of George Fernandes. "I'm sorry to hear about the passing away of former Parliamentarian & Union Minister, George Fernandes Ji. My condolences to his family and friends in this time of grief," Gandhi said in a Facebook post. 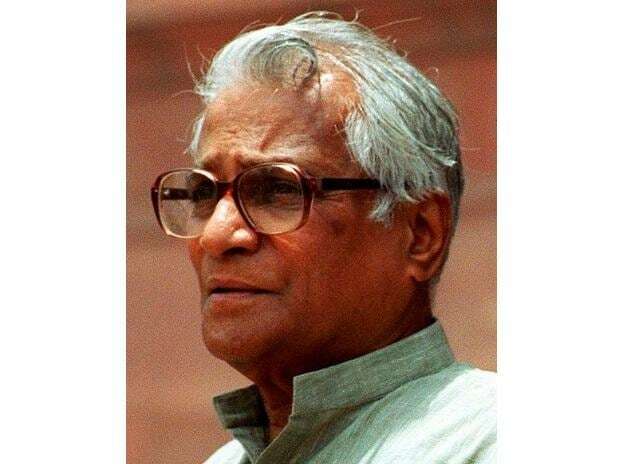 "My condolences on the passing away of former Union Minister, Sh George Fernandes. May his soul rest in peace," he tweeted. My condolences on the passing away of former Union Minister, Sh George Fernandes. West Bengal Chief Minister Mamata Banerjee said he was a much admired trade union leader.